Should You Take Prescription (“Pharmaceutical Grade”) Fish Oil? ", the bottom line on fish oil supplements is that  the most recent scientific evidence does not support any role for them  in preventing heart attack, stroke, or death. There are potential down sides to taking them, including contaminants and the impact on the marine ecosystem. I don’t take them and I advise my patients to avoid them (unless they have triglyceride levels over 500.)" Despite a lack of evidence supporting taking them, the fish oil business continues to grow buttressed by multiple internet sites promoting various types of fish oil (and more recently krill oil) for any and all ailments and a belief in the power of “omega-3 fatty acids”. Fish Oil By Prescription: Superior to OTC? 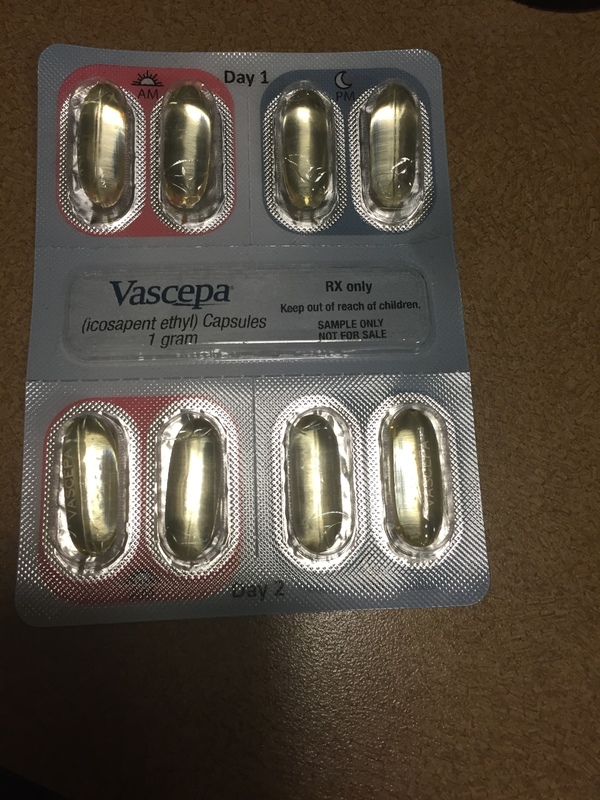 A fish oil preparation, VASCEPA, available only by prescription, was approved by the FDA in 2013. In the past if a company promoted their drug for off-label usage they could be fined by the FDA but Amrin went to court and obtained the right to promote Vascepa to physicians for triglycerides between 200 and 500. Consequently, you may find your doctor prescribing this drug to you. If you do, I suggest you ask him if he recently had a free lunch or dinner provided by Amrin, has stock in the company (Vascepa is the sole drug made by Amrin and its stock price fluctuates wildly depending on sales and news about Vascepa) or gives talks for Amrin. -Vascepa does not contain fish oil in a natural form. Although there marking material states “VASCEPA is obtained naturally from wild deep-water Pacific Ocean fish” the active ingredient is an ethyl ester form of eicosapentoic acid (EPA) which has been industrially processed and distilled and separated out from the other main omega-3 fatty acid in fish oil (DHA or docosohexanoieic acid). -Vascepa Does Eat Through Styrofoam. 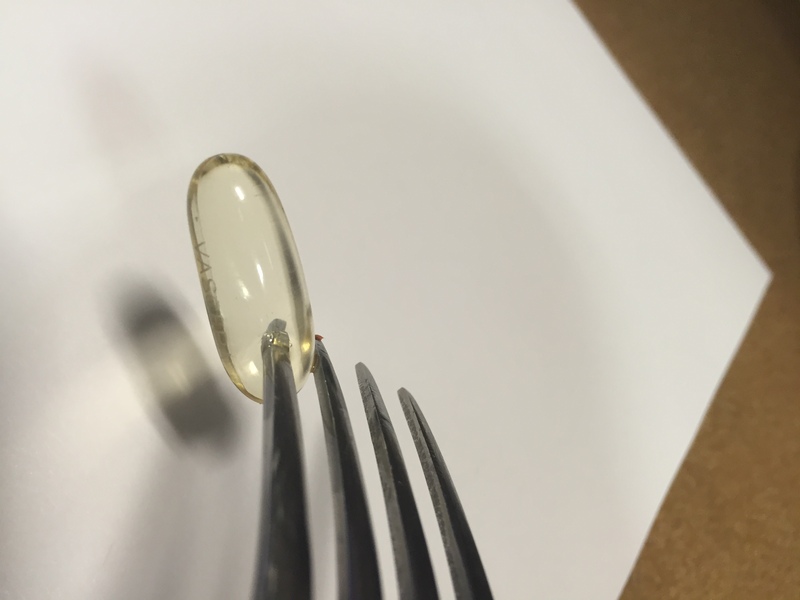 I came across reports of this phenomenon while researching Vascepa: it is commonly cited by fish oil marketers who are using the natural form of fish oil. 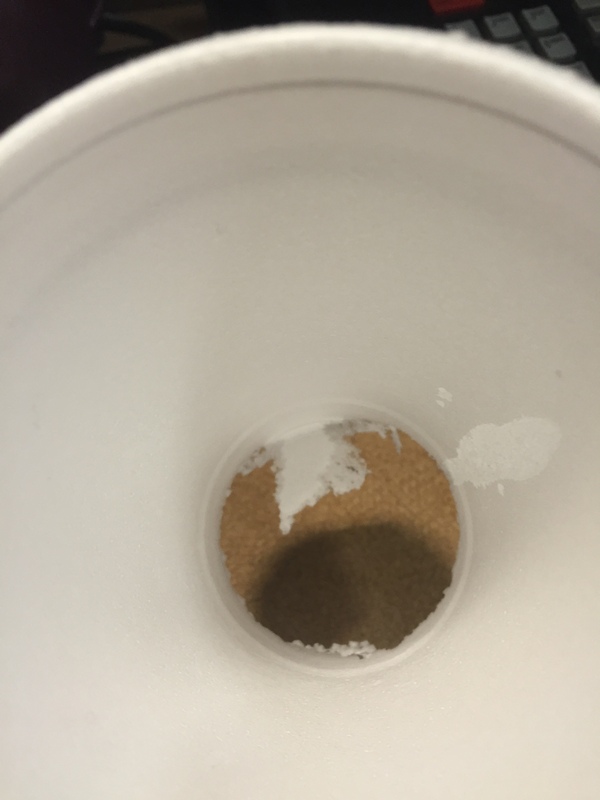 I tested this for myself and watched as my little styrofoam cup bottom was eaten away. After pouring the oil into the cup, a bubbling began and in about 10-15 minutes the entire bottom of the cup disintegrated, forming a gooey mess on the paper below. I’m not sure what the significance of this is as many concentrated organic oils (like lemon oil apparently) will do the same thing but it does seem to be a marker for the chemically processed, synthetic ethyl esters of EPA or EPA plus DHA. Fish oil in its natural form which is within the actual fish surrounded by a host of nutrients, vitamins, mineral, antioxidants and chemicals we don’t fully understand is the best fish oil to consume. I’m willing to bet that if I put a raw piece of salmon in that cup it would not eat through it (I feel another experiment coming up!). Previous PostSaturated Fat: Traditionalists versus ProgressivesNext PostIs Not Wearing A Bike Helmet As Stupid As Smoking Cigarettes? The vagus nerve is the part of the parasympathetic portion of the autonomic nervous system which controls the heart. As such when activated it tells the heart to slow down. It is not typically associated with palpitations which are usually due to fast or premature beats from the heart rather than a slow heart rate. It is responsible for the excessive slowing or pausing of the heart rate in the vasovagal syncope syndrome. Vasovagal syncope is loss of consciousness associated with excessive activity of the vagus nerve. The classic example is passing out during blood drawing. That depends on how high your triglycerides are. If they are less than 500 they don’t necessarily need any specific treatment. Lifestyle changes with reduction of alcohol, carbs, sweets, weight loss does wonders for most cases of high triglycerides. My doctor prescribed this to me, but my triglycerides are over 2000. We have tried a multitude of things to bring them down so now down to this. Cost is ridiculous $200/month. We are doing 3 months on it to see if it helps bring them down. I assume you’ve already tried lifestyle/diet changes, fenofibrate and niacin? Lovaza did and I can’t take statins as My immune system rejects them and we are now looking at it to reduce it ..lifestyle changes have not helped.